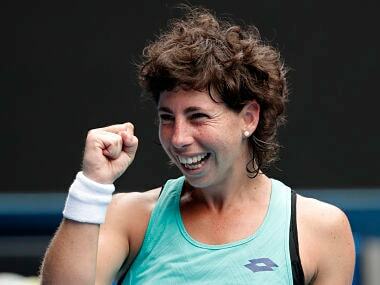 Melbourne: Carla Suarez Navarro used the only one-handed backhand left in the women's draw to mighty effect Sunday as she reached the quarter-finals of the Australian Open for the third time. The Spanish World No 39 came from a set and 4-1 down to register a 4-6, 6-4, 8-6 win over Anett Kontaveit with a delightful display of her old-school tennis she says is inspired by Justine Henin. The Belgian former No 1 was renowned for having one of the greatest backhands in the game. Suarez Navarro, who reached the Australian Open last eight in 2009 and two years ago, was asked how much of an influence Henin had been. 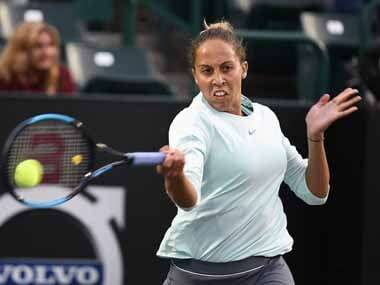 "I think a lot because we don't have too many players with one-handed backhands," she said. "I saw a lot of matches from her. Yeah, she was one of my favourite players when I grew up." 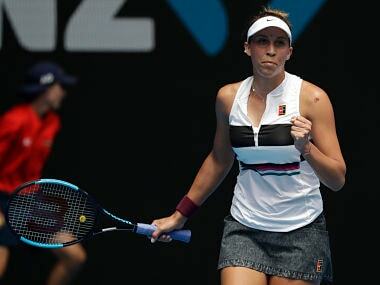 Two breaks down in the second set, the Spanish former world number six used all her experience, patience and court craft to grind her way back against a nervous Kontaveit who was trying to reach her first Grand Slam quarter-final. "Maybe we can open a little bit more the court with the angle," said Navarro of being one the last of a dying breed of single-handed players. Kontaviet failed to cope with the unusual problems created by Suarez Navarro's clever shot-making, changes of pace and spin. The Estonian's power game that had brought 22 winners in a dominant opening set then unravelled in a dramatic second set. The 32nd seed had one more chance to serve for the match at 5-4 in the third but again collapsed with the finish line in sight. After dispatching French Open champion Jelena Ostapenko in the third round Kontaveit gave no hint of the meltdown to come, oozing confidence in the early stages. The 22-year-old unleashed the shot of the match — a scarcely believable running forehand pass around the net post — on her way to taking the first set 6-4 in 42 minutes. When a bullet-like backhand gave her a second break of to go 4-1 up in the next it seemed she had one hand in the quarter-final. Instead, it was the old-style one-handed play of Suarez Navarro that fashioned a famous comeback to put her into a third quarter-final at Melbourne, nine years after her first. 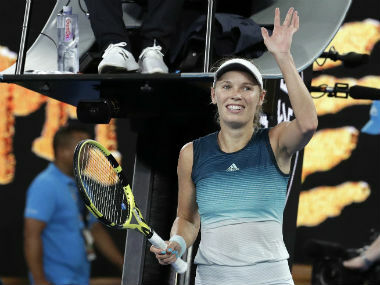 Her reward is a clash with an old foe — World No 2 Caroline Wozniacki. The Danish second seed ruthlessly routed Slovakia's 19th seed Magdalena Rybarikova 6-3, 6-0 — taking 11 of the last 12 games in handing out a tennis masterclass. "We play a lot of times together," Suarez Navarro said of Wozniacki. "I know how she plays. I know how tough she is. Will be a really tough match. She's fighting every ball." They have faced each other seven times before with Wozniacki leading 5-2. Both of Suarez Navarro's wins have come on her favourite clay.